Today we have a new stereo camera, an all-in-one sensor module, an absolute encoder, LEDs and a baseplate for your Raspberry Pi! On this final Friday in October, we have five new products that include a stereo camera from Etron, the PocketLab Voyager sensor learning kit, an absolute encoder from Bourns, more LEDs with built-in resistors and a baseplate to protect your Raspberry PI 3 B+! As a reminder, October 26th (today!) is the last day of our Time Saving Sale, so make sure to take advantage of our last one-day-only sale. Just check the featured content at the top of the homepage for the new deal! In addition to our breakout board flash sales, we’ll also be taking 15 percent off most of our Qwiic boards through October 31st. Unfortunately, SparkX items aren’t included, but those are a great deal if you’re looking to be on the cutting edge of SparkFun’s product development. Now onto our new products for the week! The EX8029 Stereo Camera from Etron is a depth-map image controller and patterned IR illuminator capable of both color and point map output modes. Thanks to its dual cameras, this Stereo Camera is ideally used in applications involving motion and gesture control, field mapping and 3D scanning. The best part about this module is that it has been designed to be as straightforward and easy to use as possible for a stereo camera. Simply plug in the included USB 3.0 cable, download the required files and start seeing things through the eyes of your new camera! A full sensor lab in your pocket! The PocketLab Voyager is an all-in-one science lab capable enough for a professional engineer and simple enough for a 4th grade student. The Voyager can detect and measure multiple forms of sensor data including motion, light, magnetic fields and weather. 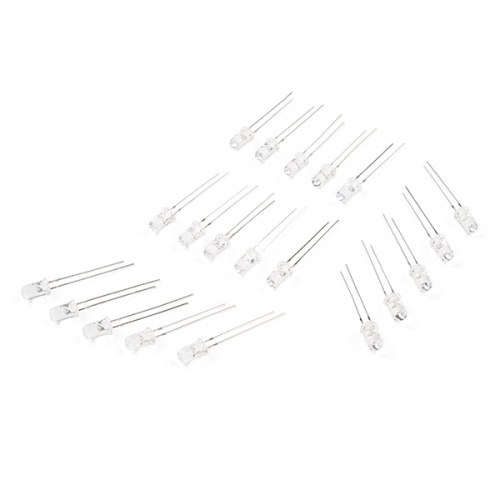 You can also attach an external temperature probe, but one is not included in this kit. The Voyager has been designed to work with either the PocketLab or VelocityLab apps by streaming real-time data from its multiple sensors to your iOS, Android, ChromeBook or Windows device where you can view, graph, record and save data as a spreadsheet. This version of the PocketLab is great for physical science, weather and climate studies, engineering projects and more. 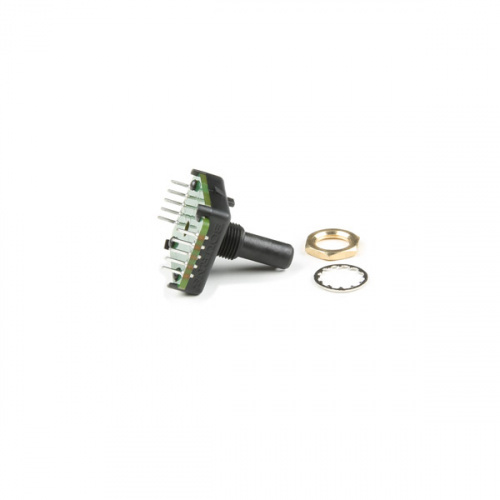 The Bourns Absolute Encoder is a digital control knob that provides 128 unique results, evenly spaced around a full circle. It is designed as a control panel knob, but can be adopted for other uses. This is a good alternative to using a potentiometer and analog pin, as this allows for full-turn and multi-turn operation. You don’t have to worry about adding a resistor to an LED if you get an LED with a built-in resistor! This pack contains 20 5mm LEDs in four different colors. There are five LEDs per color in blue, red, green and yellow. This pack will help alleviate any frustrations you’ve had accidentally burning them out! This is a basic baseplate for the Raspberry Pi 3 B+. 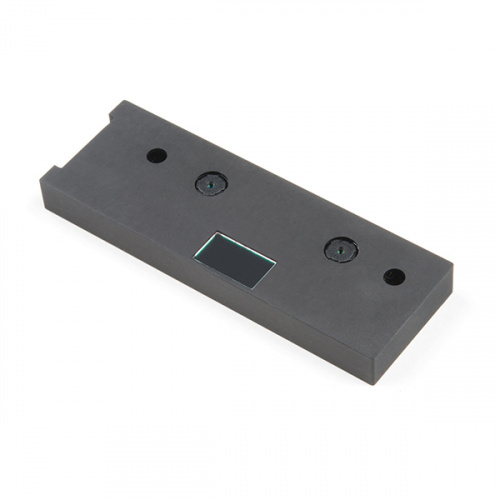 It is translucent in color and provides a simple mounting solution for wherever you want to put your Pi! 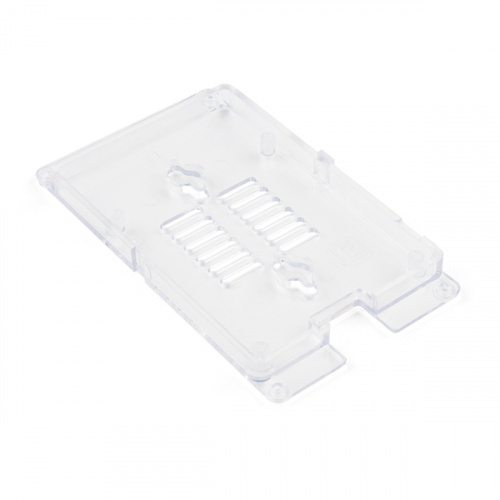 The baseplate is designed for the Raspberry Pi to securely remain on the acrylic by means of friction, no screws required. That's it for this week, folks! As always, we can't wait to see what you make! Shoot us a tweet @sparkfun, or let us know on Instagram or Facebook. We’d love to see what projects you’ve made!